I'd thought about starting this post with a bunch of bad Italian-American stereotypical thing, but decided against it, since I didn't want to find myself in the Hudson with a pair of cement shoes on. Anyway, the various crime families in New York are having a bit of a war in order to find out who's going to control which bits. There's only so much town to go around. They're going to have to fight to get the best parts. 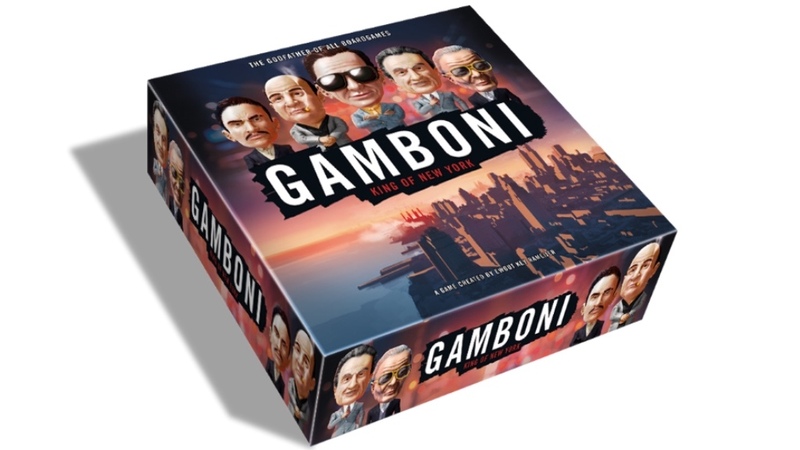 And that's what you'll be doing in Gamboni, a new board game up on Kickstarter. Take control of one of the Five Families in a quest to become Boss of all Bosses. Play a full game in less than an hour or wage an EPIC MOB WAR for a whole evening of fun! The Kickstarter campaign is up and running now. They're about 1/10 the way to their goal with still 29 days left to go.